Something, interesting has recently caught my attention! A friend who went Rome was told bring some Euro coins back to Malaysia. Specifically, she was requested to get 8 pieces of 50 cents and 5 pieces of 20 cents coins. Coin collector’s request? Nope.. Not really. 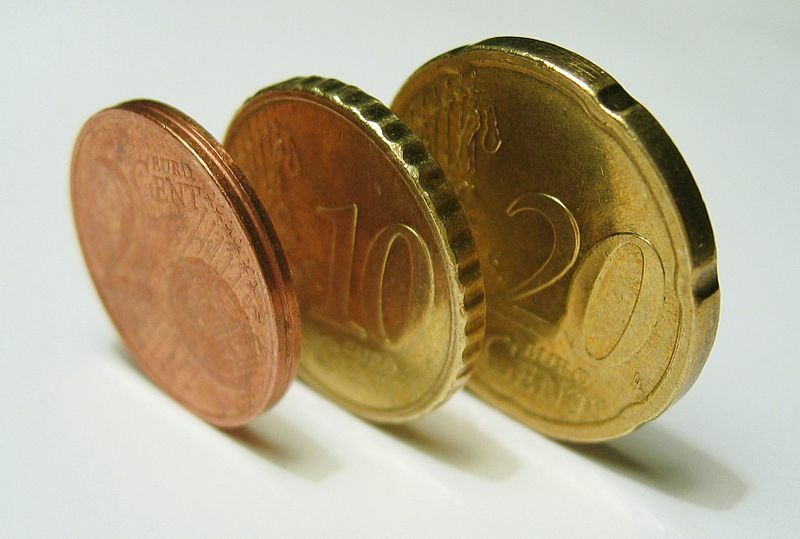 Euro coins made from some rare ingredient / composite can be made into a jewelries or accessories, i.e. ring. But why? The uniqueness which I’ve been told, was some composite material used in making the euro coins that <benefit>. Out of curiosity, I made a search about them. Hence, I’ve found that the 50 cents Euro, 20 cents Euro, 10 cents Euro and 10 kronors (Swedish coins) are composed of an alloy called nordic gold. It is not exactly gold, in fact, its a composition by 89% copper, 5% aluminium, 5% zinc, and 1% tin.